For those with an unhealthy addiction to hair gel. The sleek bun has been a coveted hairstyle for a while now and we’ve loved seeing it on the runways during New York Fashion Week. This style is all about glamour, shine and not holding back with the hair gel. 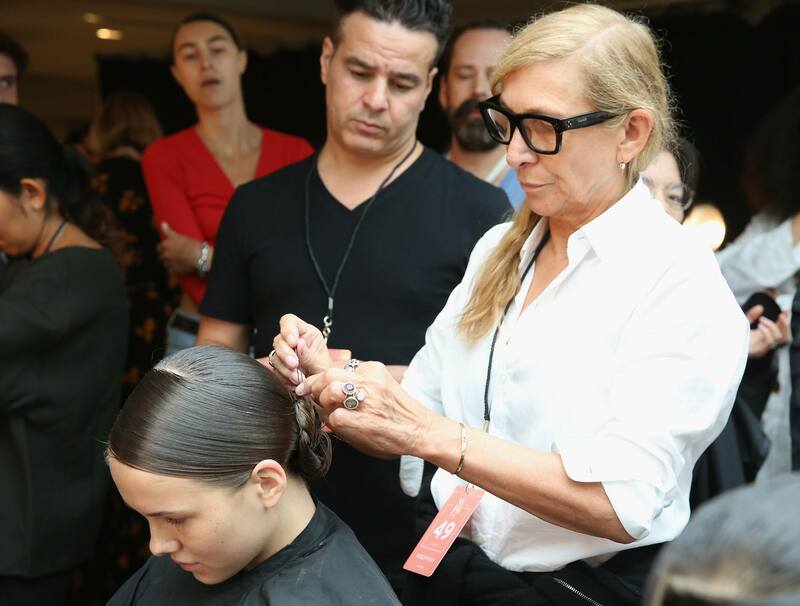 TRESemmé NYFW Stylist Odile Gilbert envisioned a bun style that was so shiny, it looked like glass or a mirror. This look is striking, so it needs to be absolutely perfect. When Gilbert and the other TRESemmé stylists created this sleek bun, they used an entire tube of gel per model! This isn’t practical for those who want to recreate this look at home, so we recommend using a generous amount but don’t feel pressured to use an entire bottle on one look. Only use as much as you see fit to create a high shine effect so that your sleek bun is still wearable. 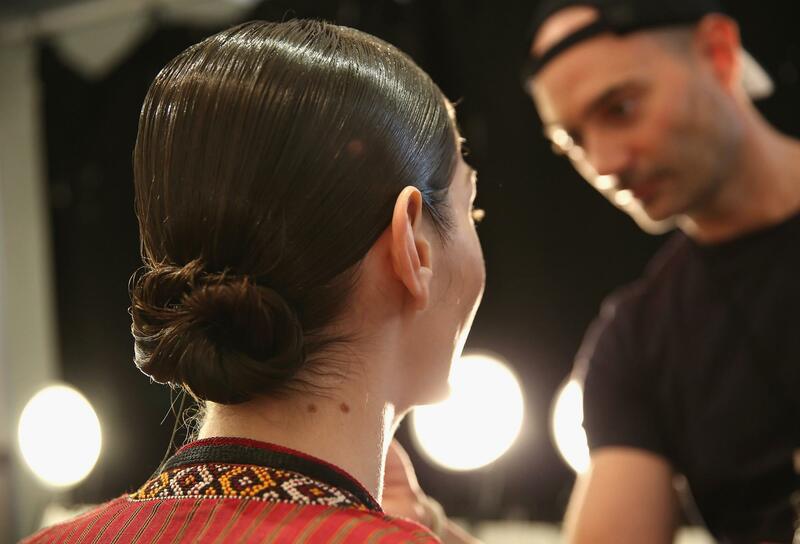 Odile Gilbert bringing her sleek bun to life. 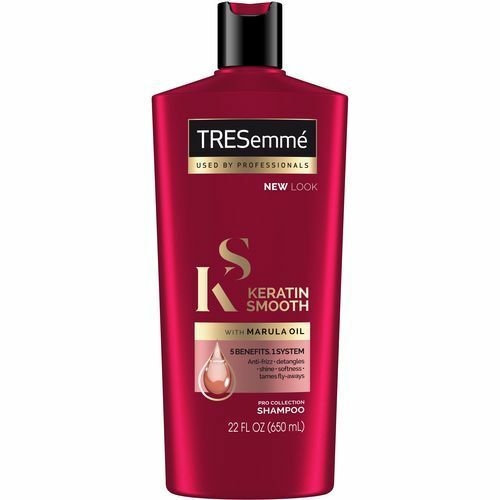 Step 1: Start by washing hair with TRESemmé Keratin Smooth Shampoo and Conditioner to create a frizz-free foundation. Gilbert and the other stylists used a full bottle of gel per model! 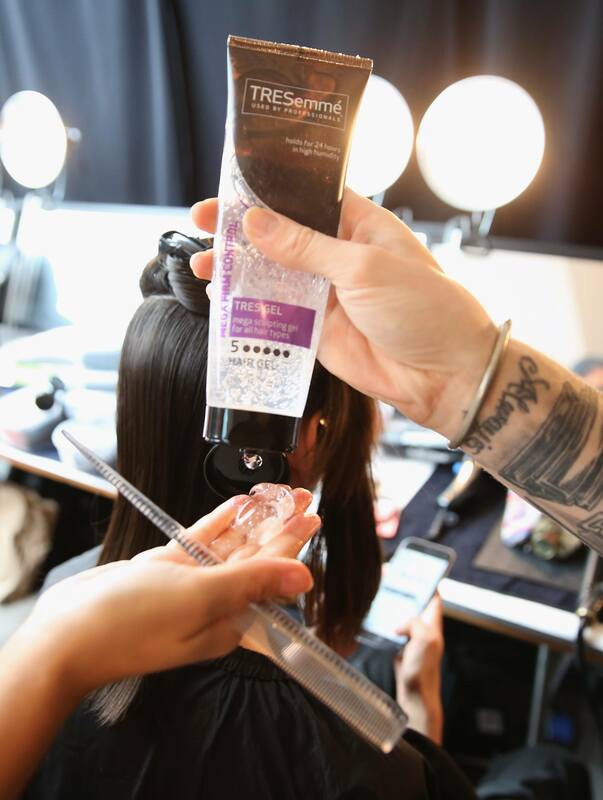 Step 2: Create a deep side part and apply a very generous amount of TRESemmé TRES Two Mega Firm Control Gel for a glossy finish. Apply the gel from the root down, in sections, to make sure every strand is fully coated. 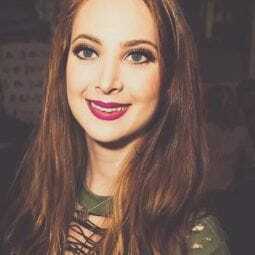 You can use a comb or a brush to saturate the hair with product. Pull hair back into a low ponytail at the nape of the neck. Step 3: Divide ponytail in half. Take one section and twist it, wrapping it around the hair tie and fasten with some French pins. Repeat on the remaining section to create a low sleek bun. 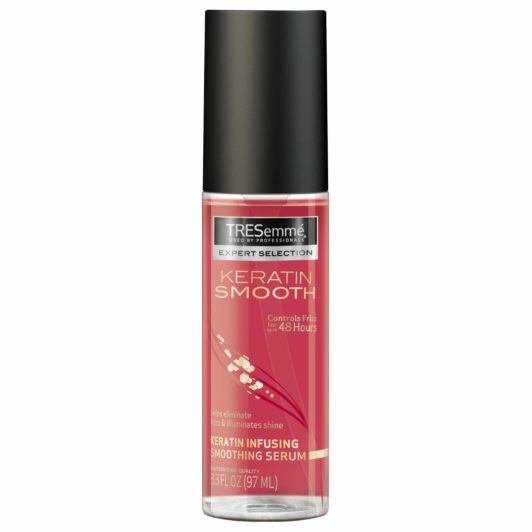 Step 4: Apply TRESemmé Keratin Smooth Shine Serum for an ultra-shiny finish. Use a fine tooth comb to smooth out any bumps. Step 5: Spray sleek bun with TRESemmé TRES Two Extra Hold Hair Spray or the Compressed Micro-Mist Hair Spray Level 4: Extend to secure the look. check out another chic bun tutorial!